"The Best Networking Event in DC." InTheCapital calls CONNECTpreneur a "NETWORKING JACKPOT" of 500+ of the DC Region's TOP Entrepreneurs, Business Leaders, CXOs, Angels, and VCs. A plated breakfast is included. Parking: in the adjoining garage. 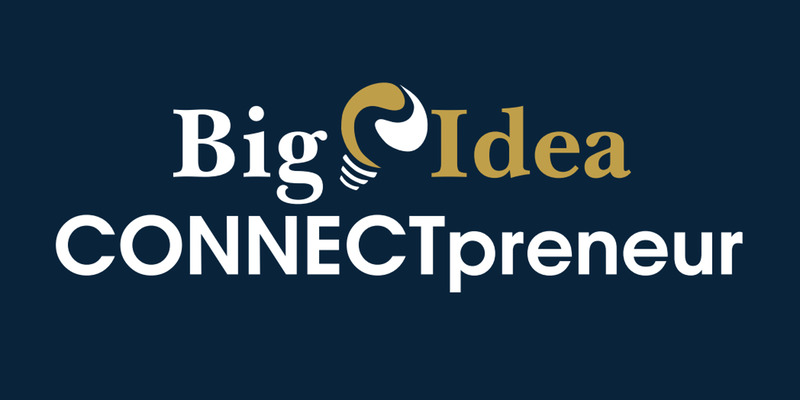 CONNECTpreneur is a quarterly networking mashup, which has been attended by over 3800 business leaders in the past 3 1/2 years. We expect another SELL OUT crowd, so there will be no on-site registration. All attendees MUST BE pre-registered. After SUPER EARLY BIRD, Get your 40% Wharton Club Member discount after Early Bird expires! Click here! or call us at 301-365-8999 IF YOU ARE A CURRENT Wharton Club Member - You can only get access to this page if your membership is current, so we hope you'll rejoin if your membership expired. Please call us at 301-365-8999 with any questions. Please note: All sales are final and nonrefundable. Revolution Ventures, Carlyle Group, Kinetic Ventures, Amplifier Venture Partners, Core Capital, Grotech, Novak Biddle, New Atlantic Ventures, True Ventures, Edison Ventures, SWaN & Legend Venture Partners, RLMcCall Capital Partners, Venturehouse, Multiplier Capital, Updata, Saratoga Investment Corp., DFW Capital Partners, Farragut Capital, NextGen Angels, CIT GAP Funds, New Markets Venture Partners, BluVenture Investors, Leeds Novamark, Maryland Venture Fund, TEDCO, 1776, K Street Capital, Cranbrook Capital, Fortify Ventures, Acceleprise, US Boston, 500 Startups, VentureCross Partners, Berman Enterprises, Dingman Angels, Neuberger & Co. Ventures, McLean Capital, Angel Venture Forum, Exhilirator, New Vantage Group, National Capital Companies, Enhanced Capital, MTECH Ventures, Mosaic Capital, Opus8, Starise Ventures, Blue Heron Capital, Duncaster Investments, Private Capital Network, Next-Stage Development Group, Lancaster Angel Network, Harrell Partners, Ruxton Ventures, MD Center for Entrepreneurship, Conscious Venture Labs, and Keiretsu Forum. Get your 40% Wharton Club Member discount after Early Bird expires! Click here! or call us at 301-365-8999 IF YOU ARE A CURRENT Wharton Club Member - You can only get access to this page if your membership is current, so we hope you'll rejoin if your membership expired. Please call us at 301-365-8999 with any questions. "No B.S. that was the best biz networking event I have ever been to." "Not every investor and startup meeting in town is worthwhile. I would run through walls to get to yours though." "You pulled off a great conference. I really enjoyed it. Thanks for inviting me!!" "What a great conference...There was a distinct energy and enthusiasm at your meeting, unlike the usual droll meetings like this. So well done." "One of the best events I have ever sponsored!" "Great event this week! Great speakers, atmosphere and people! Reminded me of the good ole days!" "It was amazing. Best event I have ever attended!" "I thought you put on a terrific event. I was really impressed with the caliber of people and the format of the event." "That was one of the best VC conferences I can remember attending. It had all the positive energy of the boom years, without the unbridled reckless exuberance."